Houses & Homes VA: Why have we never gone back? Why have we never gone back? I wonder if most people realize just how long it’s been since America first made the seemingly impossible journey to another celestial body. 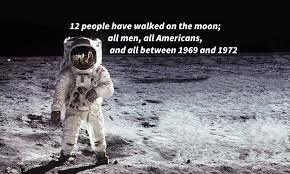 Indeed many people today were not yet born when we first landed on the moon and to them this incredible achievement is nothing more than some old black & white photos on the internet. They have no idea how much impact this event had at that time or how the entire world stopped in unison for a few short moment on July 20, 1969. Did you know that the total combined computing power of NASA at that time was less than you have in your cell phone right now? How amazing is that? Technology today is so advanced as compared to 1969 that one would think a return trip to the moon would be a simple task in comparison. At that time color television was a rarity and cable TV wasn’t even a thought. So why haven’t we gone back again? One reason is the high cost of such a venture. For one thing our current rocket technology is not sufficient to allow us to take the assorted gear and instruments that we would need for another lunar mission. Technology is much different today than it was in 1969 and the payload required is much too heavy for our current rocket technology. Currently NASA is developing new and much more powerful rockets that would allow a return visit to the moon with ample equipment to make the trip worthwhile. As you can imagine, the cost of these new developments are staggering. Perhaps the 2nd reason we have never returned is simply a lack of interest. Many Americans don’t feel that returning to the moon is necessary and that the government should spend our money more wisely such as trying to eliminate the trillions in debt that we now face or improving the aging infrastructure of the country. Regardless of these facts a new mission is planned for the year 2020. Project Constellation will be much different than the Apollo missions were decades ago. This time the object will be to achieve a sustained presence in space with planned missions that could last for months. The challenge is huge and would include the need for habitats on the lunar surface that would last for years to come. More importantly, this time the moon will be considered more of a “stop along the way” and not the final destination. Manned missions to Mars are planned in the future as technology develops and makes this a possibility and the experience that we gain from Project Constellation will play a vital role in the years to come.